Marketing to businesses may not always be the same as marketing to end consumers, but there’s one thing they have in common: people. Engaging people is always the strongest factor in a good marketing campaign, because people talk. They make choices. They tell their friends, and they buy things. It’s also as challenging as ever. Time is money, and marketing takes time. How does a B2B technology company leverage its social media marketing and its available marketing resources to free up time for what is really important—like developing and sharing the technology itself? Here’s another consideration. How can a B2B technology company show company executives a return on investment for social media marketing? A good company culture, cooperative social sharing circles, and effective use of tools and services such as Crowdfire and Hubspot can all help. Ultimately, optimizing social media marketing depends on a company’s ability to craft and follow through with an effective marketing strategy. It includes creating messages with rich content, keeping an eye on data and trends, and tweaking marketing efforts to match analytics. Designing and directing marketing messages that engage industry players can cultivate social resources that generate and convert business leads. Creating a successful social media marketing strategy that doesn’t take a lot of time includes learning how to create messages that get results. That can be trickier than it sounds. There are details to consider—not just what to say, but how to format them and when to say them. Whether it’s a blog post, a tweet, or a retweet, saying the right thing can put a B2B company in a positive light. Posts that are insightful and thought-provoking inspire conversation. Conversation builds trust, and trust has the potential to draw in valuable business leads. This is why a B2B company needs to have a clear idea of what the company message is—‘Save Time, Save the World,’ for example, or ‘Creating Connections that Drive Success.’ It’s all about the benefit that other businesses will receive when they purchase products and services from B2B technology companies. When a B2B technology company crafts a campaign, often the delivery of a message matters as much as the content. Maintaining a friendly, conversational tone is important. If you write a post like you speak, chances are readers will make a connection and see you as personable. This will set your business in a positive light, as well. Your message encompasses everything you want to reach your target audience. The goal of content delivery is to help potential customers connect. They need to see how the products and services being discussed can help their own company. One way to deliver content is to tell a story about how your products have helped or improved business for others. You can also share your company’s content when you answer questions for people seeking solutions on the internet. For your own sites and profiles, create content directed at your ideal customer. Creating interesting and timely content is part of building a solid B2B brand. Delivering that content in ways that connects with others reinforces the company message. Social media platforms like Twitter can sometimes make that easy because the fast pace and short messages allow B2B technology companies to relax a little bit when they interact with others. Short messages can be fun. They should be creative, positive, real and engaging. The best interactions evoke positive emotions. From a marketing standpoint, instigating feelings of excitement, fun, and happy moments can make your product stand out. People remember what they feel. Consider the Pokemon Go craze, in which a cool new mobile app was mixed with the nostalgia of a game. New mobile apps can bring feelings of power and of being on the cutting edge. When that was mixed with the pleasant memories users had of how they spent their free time growing up, Pokemon GO became an instant winner. The interesting mix of emotions made the game relevant to a wide variety of users. The appeal of any good campaign is that the positive emotions it creates are messages that everyone wants to receive. Emotions drive people, and even in B2B marketing people are the end decision makers and purchasers. Paying attention to the message that target audiences want to receive can bring success in social media marketing for B2B technology companies the same way it does for B2C companies. By the same token, it’s important to review your messages to make sure your company isn’t creating the wrong kinds of emotions in a marketing campaign. Because social media deals with people, there’s always the risk of offending someone. Err on the side of class when you have to choose between a classy and a risqué post. Even though the risqué comment might draw more attention, it most likely won’t be the kind of attention the business would appreciate. It’s important to think like the people who might hate your company, too. Rethink all posts before they’re published. If they could be turned against the company, rework them into something more positive. In the internet world, hashtags can be useful for categorizing articles, which makes them easier to be found by people searching for the solutions a B2B technology company can offer. Utilizing two or three hashtags in a single post is a smart move that can get content into the right feed streams for generating leads. A company that creates its own hashtag can more easily track reactions to content, as well, but don’t overdo it. Using more than a few hashtags in a single post decreases interactions with others. Knowing where your content fits is important when it comes to posting on forums or on social media platforms like Reddit or LinkedIn. For the best results, B2B technology companies should make sure their content is displayed in ways that help build feelings of like-mindedness between a company and its possible clients. Let your content build common ground between you. From a B2B marketing standpoint, social resources are the resources you can draw on, provide, or share for marketing purposes. Marketing, even for B2B technology companies, is all about people. It’s more than being able to call on someone for a favor, though. Cultivating social resources means building your credibility as a reliable source of good information and developing trust in your industry’s online community. It’s about being helpful, professional and, in a strange sense, digitally charismatic. There are several good ways to develop social resources. One idea is to cultivate brand ambassadors. Basically, this means converting your existing audience into word-of-mouth marketers who are enthusiastic about sharing your message. This works because it distributes your company name across several sources. When people beyond your normal range of influence hear about your company from multiple sources, they begin to think of it as trustworthy. The larger a B2B technology company’s social footprint is, the more people will recognize it and talk about it. This means that B2B companies need to be present and responsive on social media platforms with company profiles as well as relying on brand ambassadors. Reviews are important, too. Getting both good reviews and a lot of reviews helps spread the marketing message, so it’s worth investing some time seeking reviews from clients who have used the product or services before. It’s also a good idea to reach into networks beyond your own, such as co-hosting an event with a non-competitor in the industry or asking an influencer for an interview. Connecting positively with industry influencers is like social proof on steroids. Retweeting messages from influencers and relevant clients can have an impact on what they think about your company and what they might say about it. When you retweet a client, it lets them know you’re paying attention to them. Who doesn’t like it when someone takes notice of what they’ve said? Sharing pertinent information can win brownie points with others in the industry, as well. A B2B company can also send an e-mail or direct message to trusted influencers to build the relationship, and specific @mentions on Twitter get the attention people who might generate business leads. To build or maintain trust, your company will have to respond appropriately when under attack by malware—and this does happen. You’ll want to treat your audience and prospective clients with courtesy and respect, and this means handling emergencies in a professional manner. Building a strong social network requires creativity and an investment of time, but since a social marketing strategy is built on social resources, B2B companies can work on the two issues as if they were one. If your employees are happy in their work culture and feel that they are an important part of the company’s success, they will gladly invest their own time for marketing. When it comes from employees personally (and not from the company itself), the marketing is more word-of-mouth than a planned campaign. To help employees invest in the marketing process, send out an e-mail to employees with content they can share. Sending an e-mail like this once a month is fine. Likewise, you can ask an employee to share content on a personal LinkedIn Publishing page. This is part of LinkedIn’s Influencers Program. Using the company profile can build social proof at the same time that it draws on it. For example, when a B2B company engages with an industry influencer, they’re building a relationship, but they’re also getting ideas, feedback and possibly leads that they can use to tweak the marketing strategy. One good way for a company to utilize social proof is in blog posts. If the post links to an external source, it’s a good idea to e-mail the other external source and ask them to share the blog. Cross-promoting this way can create social proof as well as spend it. If the external source is against the idea, they can always say no, and the company will still have another contact to engage with when time permits. Not all social resources are free. Sometimes it’s a good idea to use paid social ads to promote blogs and landing pages, but you have to pay attention to where your target audience will be and what kind of campaign you’ll be running so that your paid posts can be effective. For example, the article lists Facebook as the largest social media platform with the most sophisticated ads, but also lists Twitter’s targeted ads. Business-driving Pinterest campaigns, Reddit ads and Instagram ads are also included in the discussion. One advantage of paid advertising is that it can help a B2B company hit its target audience. 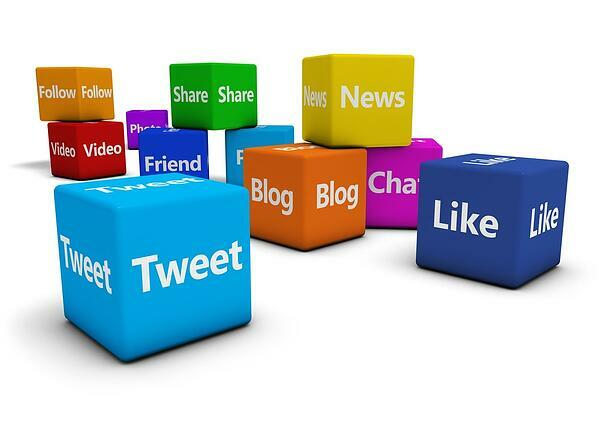 This can save time and make the social media marketing strategy more manageable. Part of crafting a time-effective social media marketing strategy is gaining an understanding of the platforms you’ll be using. In its simplest sense, a platform is like a step stool. A user stands on the flat part at the top to reach areas that can’t be reached without it. A social media platform works the same way, extending a B2B technology company’s reach into social sectors that were unattainable before. There are plenty of social media platforms to choose from. The most successful campaigns utilize a variety of choices at one time. LinkedIn, Reddit, Twitter, Facebook and Instagram can be more relevant for B2B tech companies than other platforms. Knowing what the strengths are for the platforms you’ll be using is essential for creating an effective strategy. For a B2B technology company, Instagram can be used effectively to build brand awareness. Pictures and fifteen-second videos can help form a friendly connection with users. It’s about showing the human side of a B2B technology company—and once again, it’s all about the people. In this case, it’s about helping users connect with the people behind the company to see how daily life works for them, what products they’re personally excited about sharing, and why. There are several ways to use Instagram to help build a brand, such as sending out company updates. Sharing content that widens the sales funnel and providing thought leadership on Instagram can also make an impact. Also, sharing the B2B organization’s personality on a friendly platform like Instagram helps cultivate social resources that can later translate into leads. Pew Research Center listed LinkedIn as one of the five fastest growing social media platforms. LinkedIn is four times as more likely than other social media sites to grab the attention of people interested in business topics and drive traffic to business web sites. Industry insights are in demand. Posting about twenty times a month, during business hours, is a simple but effective LinkedIn strategy. Optimizing a LinkedIn profile is another branding strategy that can help with B2B marketing. Creating an intriguing profile attracts industry professionals. Conversing with them and, when possible, with LinkedIn influencers allows you to showcase the unique features of your B2B technology company. It’s about making a good impression that might translate into a business lead later. In the same study that Pew Research Center listed LinkedIn as one of the five fastest growing social media platforms, Facebook was declared to still be the number one social media platform. Facebook has more than 2 billion active users in a single day. While only a portion of followers see a user’s posts, it’s one of the highest rated platforms for engaging an audience. Reddit is the seventh most popular website in the United States, and its largest demographic includes men ages20-40. Reddit appeals to technology-minded professionals like those in cybersecurity. For a B2B technology business to take advantage of Reddit, content has to be thoughtful. Marketing done here is more a like-minded connection than a promotion of any sort. It’s about building trust with interesting, timely content and comments on other postings. One interesting thing to note: posts on Reddit are more likely to go viral than posts on any other social media platform. So far, YouTube is one of the top three social media platforms for marketing for B2B technology companies. With almost a third of the people on the internet using it and over a billion monthly users, it’s easy to see ways to investigate potential markets here. There are several ways a B2B technology company can use YouTube in an effective social media marketing strategy. Keeping videos short (under two minutes is best), posting videos at the right times, and posting educational videos or demonstrations all help. Videos should be optimized for mobile apps, and a new video should be treated like its own marketing campaign. Two benefits of using YouTube: 1) videos are entertaining as well as educational, which can increase positive emotional response, and 2) videos can be more personable than posts on social media sites like LinkedIn or Twitter. Both benefits help cultivate social resources that can draw business leads later on. Slideshare is a platform owned by LinkedIn, and it’s one of the top 200 most visited sites in the world. Slideshare can be an effective part of a B2B technology social media marketing strategy because of the high number of users. Slideshare has the added benefit of being able to be optimized for specific keywords. Slideshare presentations are easy to embed into other social media posts, such as on LinkedIn, and Slideshare presentations are one of the best ways to convert the leads you get. While Google Plus hasn’t been used widely for marketing for B2B companies, there are some definite perks. Besides helping with page ranks, the Ripple feature allows users to see how far their posts reach. Google Plus also allows users to post a picture with their link in the picture’s description, which can funnel traffic. There’s also the idea of including influencers and potential clients in your Google circles, which might bring leads later on if they search for a specific topic and find something you’ve posted. B2B technology companies using Google Plus as part of a social media marketing strategy should post two or three times a day. While this is a nice list of social media platforms that B2B technology companies can use effectively for social media marketing purposes, it’s really just a start. Development of new platforms and tracking changes to existing ones can keep B2B technology companies on their toes. Investigating social media platforms and their features more thoroughly—and the features of other social media platforms as they’re developed—can give B2B companies an edge when it comes to deciding what message to send out, who to send it to, and in what format. Ultimately, it’s about choosing the best step stool for reaching the people you want to reach. Your B2B technology company knows what it wants to say and knows what platforms will be the most appealing for your industry. What’s the next step? Utilizing some of the incredible social media marketing tools can save time and enhance your marketing strategy. Automation tools can help manage social media campaigns by allowing users to handle several platforms at once or perform tasks such a scheduling posts in advance. As B2B technology companies work their social media marketing plans, it’s a good idea to keep an eye on changes in the available tools or the addition of other tools and compare what they have to offer. For example, Oktopost also has a feature that allows Octopost users to see which leads came from different networks and what messages generated the leads. HubSpot also really shines, because it has a built-in feature for social media management in the platform that brings everything a B2B marketer needs in one place. Using an automation tool like the ones listed above makes sense. Having the ability to schedule posts ahead of time is a treasure in itself, and when a B2B company can do everything from one site, the time spent on social media marketing is optimized. Beyond automation, other social media tools can help monitor changes in social media situations and keep up with multiple accounts. Crowdfire is a great tool for managing mass followings and unfollowings on Twitter. It can also help increase Twitter followers, find leads and manage multiple accounts. Tweepi is another tool with features for managing followers. Besides unfollowing and following other Twitter users, Tweepi has a feature for analyzing statistics about the activity of your followers. Tweetdeck is used to engage with fans and followers on Twitter, in one dashboard that contains and displays all your Twitter streams. ManageFlitter has a unique feature that allows you to see when most of your Twitter followers are online so that you can schedule posts when they’ll be most likely to see them. BuzzSumo helps discover industry influencers by tracking content on social media sites and ranking them based on the number of shares on Facebook, Twitter, LinkedIn, Google +, and Pinterest. Moz helps turn content into keywords and hashtags, which can then be used to increase SEO rankings. Canva is used to create interesting graphics to include in blog posts and tweets, which increases traffic (and therefore potential leads). Some social media sites also have built-in tools that can be used to enhance B2B marketing, such as LinkedIn groups. Using these types of tools properly can speed up the marketing process and enhance the messages that marketing campaigns try to get across. Keeping track of the changes and making adjustments through time is important, too. Timing is Everything. 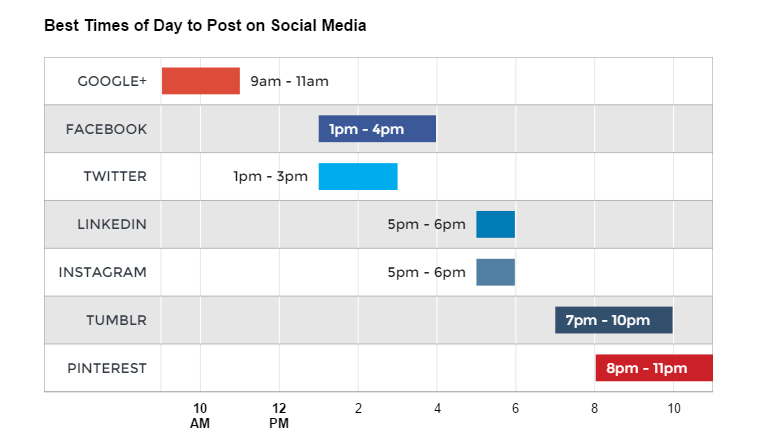 Knowing what days of the week to post on different social media platforms can make a huge difference in the number of people who see your company’s message. 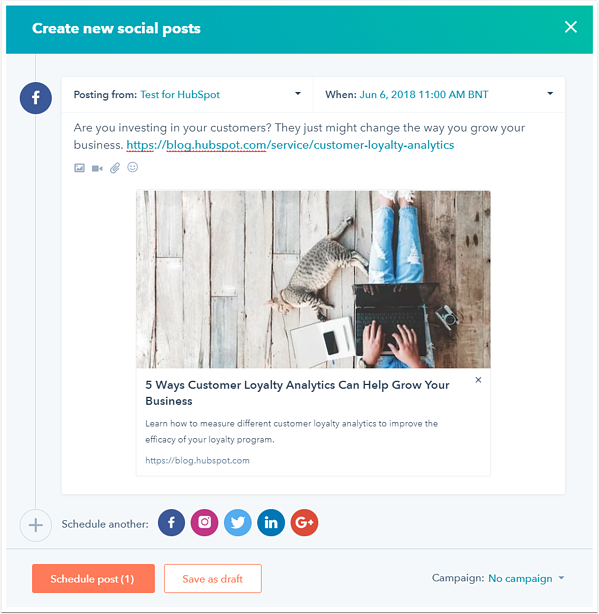 Top recommendations for how frequently to post for each campaign across different social media platforms are addressed in this article, "How Frequently Should I publish on Social Media: A HubSpot experiment". As new technology is developed, changes in what to expect from marketing tools and platforms continue. Trends in what people and their businesses buy shift, too. As a B2B technology company competes for attention in the digital world, it’s important to find ways to track the changes that will most impact social marketing strategies. When a shift is noticed, it can be watched, and if needed, the company can make tweaks to its marketing campaigns. For B2B tech companies, leads and lead conversions are the top statistics to report to marketing officials and company executives. Audience demographics such as the ages or geography of the people interacting with company profiles and posts might be important, too. Watching other statistics can indicate whether or not a company is engaging enough customers to generate leads. If the number of people who follow your company on its various social media platforms is growing, you are engaging people; likewise if you get likes, reactions, shares and mentions or comments on your posts. Click rates are important, too, because they indicate lead conversion. through social media are seven times more likely to close than leads generated through other sources. It’s a good idea to review social media strategies at least once a month. Take a look at which profiles are the strongest, which profiles are holding steady, and which profiles are declining. For example, a downshift in performance on LinkedIn accounts led to the discovery that too much self-promotion within LinkedIn Groups might have partially caused the decline. Changes in the LinkedIn Platform (removing the top contributors feature from group pages) might have made the problem worse. LinkedIn made a lot of changes to its groups. Group discussions can no longer be seen by people outside the group. LinkedIn sped up content moderation for groups, improved content filtering, and removed subgroups. Images and messages were allowed to be posted in groups. Other changes included the creation of e-mail digests to cut back e-mails and adding a highlight feature to help people on a tight time schedule get the most out of group discussions. Some of the best B2B leads came from answering questions that were asked in LinkedIn Groups, so feedback on the changes was interesting. While many people were pleased with some of the changes LinkedIn made to its group features, its decline in performance later led a few of them to think that LinkedIn was being passed up by different platforms, like Twitter. Watching for these kinds of trends can help a B2B technology business know when to switch gears and focus its marketing efforts on other social media platforms. One of the reasons to have a solid social media marketing plan is to avoid spending all your time on social media, trying to hit every potential client in every possible way. 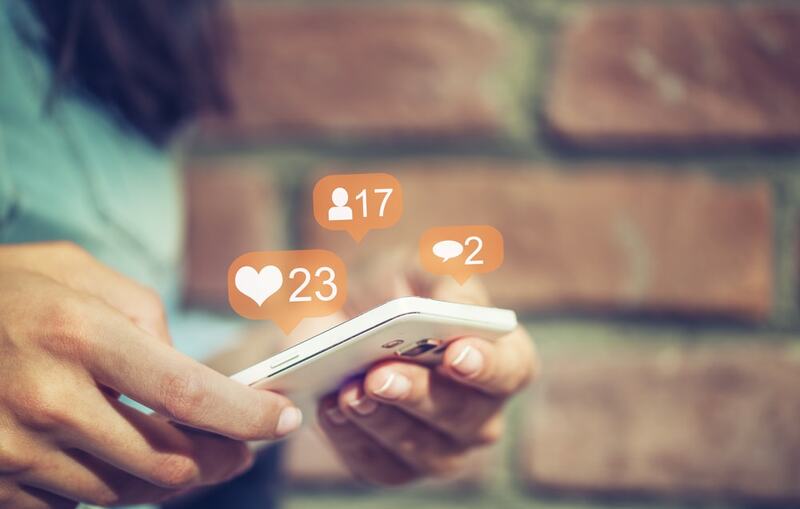 Without a plan, spending time on social media can drain energy and resources that a B2B technology company could be using to develop new products. Overall, a company should be spending 10-15 percent of its total time for customers on social media. This includes writing messages, creating and posting content, and interacting with other industry professionals online. If you’ve got six hours a day to spend on customers, that translates to 54 minutes a day that should be spent on social media. Here’s where a fifteen-second video on Instagram or a quick Tweet can come in handy. Shorter, more frequent messages across a variety of platforms get the job done. 1) Spend five to ten minutes a day finding good content to share and lists resources for finding content. 2) Take another ten to fifteen minutes to compile content with great titles and hashtags. 3) Create images in just five to ten minutes. 4) Schedule posts in five to ten minutes. 5) In fifteen minutes, engage with others online and analyze trends. This may seem like a lot to get through in one hour, but once you have a system in place you’ll be surprised at how much you can get done in such a short amount of time. Most social media tasks can be heavily automated, so your effort will be limited. If performance in a profile or group declines and the trend continues over a month, stop posting there. Your social media marketing should not be a digital behemoth that eats up excessive amounts of time. 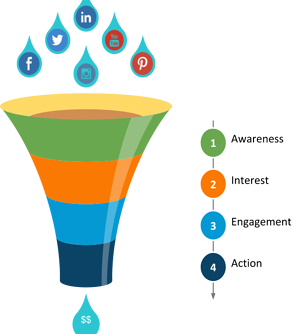 If it’s not generating leads or lead conversions, save time and move your efforts to a platform with higher performance. Involve your employees in the marketing process by encouraging them to share positive things about the company. Unfollow the people who don’t follow you back. Examine which posts work best to find commonality and follow trends. First look at clicks and engagement to see what these posts have in common. Then look at the images used. Are their similarities? Investigate the tone of the posts, the style of the message and the language used. What makes the high-performing articles stand out? A professional manner? An authentic, conversational tone of writing? Or is it in the information itself? Modify and repost a successful blog post on LinkedIn Pulse a few weeks after the original is published. Include a link to the original post and direct the traffic where you want it to go with relevant links to your other posts, content or a landing page. Scrutinize the frequency and timing of messages for each profile. Modify the scheduling of your posts when necessary. Use a social monitoring tool such as HubSpot or TweetDeck to stay updated on industry trends and on what your competitors are doing. Every month, make sure to rewrite and post top performing messages. There’s nothing wrong with using good information more than once. Duplicate the success of high performing posts by using a hot topic in more than one post, on more than one platform. Base the message on your insights. The more your highest performing posts are distributed in the digital world, the better your odds are of engaging industry influencers and bringing in leads. Ceragon Networks is a wireless backhaul solutions company. It’s a good guess that most consumers don’t know what wireless backhaul solutions are, or how the product impacts their lives. Most people don’t talk about it over coffee or during carpool rides. It hasn’t been a hot topic among online friends, either. It’s an important service, though. Wireless backhaul is the process of gathering data from an end user and sending it by wireless communication to a node in a larger communication network, such as the internet. Ceragon has been delivering wireless backhaul solutions for over 20 years and is recognized as the industry’s leading provider. The company serves mobile operators, internet service providers, public safety organizations, government agencies, utility providers, and oil and gas companies in over 130 countries and, through its maritime operations, on more than a few of the world’s oceans. And yet, as Ceragon knows, marketing B2B technology services is difficult. Ceragon fills a niche market, so it’s challenging to find people interested in talking about the services, and that makes it hard to find leads for new potential customers. Ceragon’s marketing team realized that to increase blog and website traffic, they needed to develop and implement a comprehensive social media strategy that would engage the right audience. However, they also knew that management would want to see a proven ROI before making a long-term commitment. With the help of Penguin Strategies, a strategic marketing company, Ceragon created and implemented a six-month social media marketing trial. Since more accounts mean more opportunities to grow traffic, the first step was to increase the number of social media accounts being used. Official company accounts were supplemented with personal profiles for Facebook, Twitter and LinkedIn accounts for select company employees, building to a total of 16 LinkedIn accounts. The next step was to connect to Crowdfire, which optimized reach, and to HubSpot for scheduling posts and making sure the posts were distributed properly among all of the accounts. Social media messages were created based on blog posts, case studies, and PR releases provided by Ceragon. Each of these campaigns consisted of a mix of Tweets, Facebook posts, and LinkedIn posts. Ceragon’s website was monitored for additional content that could be promoted through social media, and relevant content and news articles to be posted weekly from selected accounts was curated. The social media messages were based on headers and critical sentences from the content being shared. One of the most valuable changes that was made regarding Ceragon’s Twitter strategy was to always use the best hashtags for engaging the target audience. Using a mix of the company’s accounts, posts were made daily to Twitter and LinkedIn, and three times a week to the company’s Facebook page. Over a period of six months, Ceragon’s social engagement grew significantly. Website and blog traffic from social media posts increased by 181%. Twitter followers increased by 23%, from 3,163 to 3,879. The online marketing manager’s Twitter account grew from 17 followers to 382. Ceragon’s Facebook account attracted 482 new followers, and their LinkedIn account added 3,364 new followers. Most importantly, because of Ceragon’s increased social presence, the company attracted more than 30 worldwide leads and three new partners. This social media marketing trial demonstrated the ROI of a healthy social media strategy that allowed further investment into social media marketing. Ceragon’s success shows that, with the proper marketing strategy, B2B technology companies can benefit from social media as much as business-to-consumer companies can. Having a strategic marketing plan in place can simplify and enhance a company’s efforts to share their message. B2B marketing is developing on social media sites, and a good social media marketing strategy can help generate leads.